There are tons of ways to make simple DIY lamps out of things you have lying around at home. If you've got an empty container, (even an orange or tuna can), there's probably a way to upcycle it into a lamp of some sort, and they can come in handy if you ever lose power. 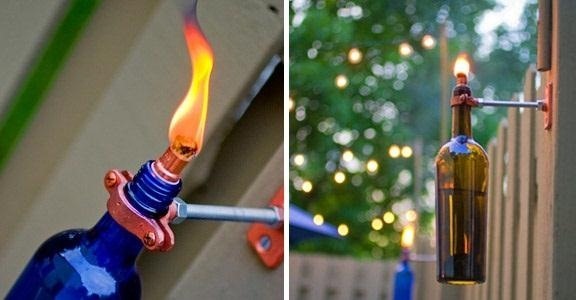 After Eric Anderson from GerardoAndCo posted this DIY Tiki Torch made from a wine bottle, others began finding different ways to make a torch. Ledshed and Byoung4Now, users on Instructables, used an empty bottle of Jack Daniels to replace the wine bottle design. The torch itself doesn't require much assembly, but if you want to hang it, you'll need to hack together a bracket. Of course, you can always just set it on a table if you don't want to go to all the trouble. Here's how to build both. Making the torch is a simple process. 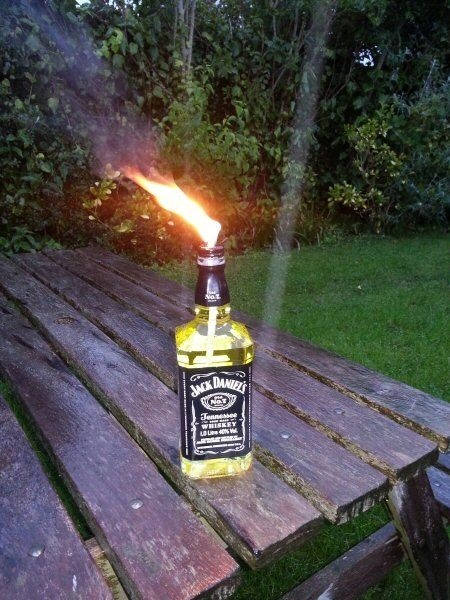 You'll need to empty out a Jack Daniel's bottle (that's the fun part) and replace it with citronella or paraffin oil. Make sure you don't use the plastic cap that comes with the bottle because it will melt. Find a metal cap (possibly from a wine bottle) and modify it so that it fits on the bottle of JD. Drill a hole through the cap and fit a wick through it. Place it on a table and light it. 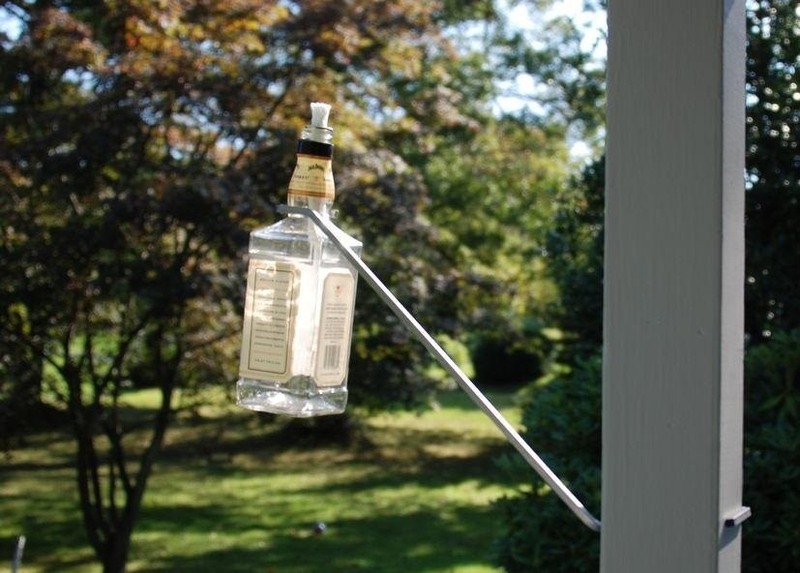 If you would prefer to hang up the tiki torch, you can make your own deck bracket. The process is much more detailed, but basically all you need is a plain steel rod (which you can get for $5 if you don't have one lying around at home) and the tools to bend it. Execute the proper bends on both sides of the steel rod so that you can hang the rod from from one end and attach the JD bottle on the other. 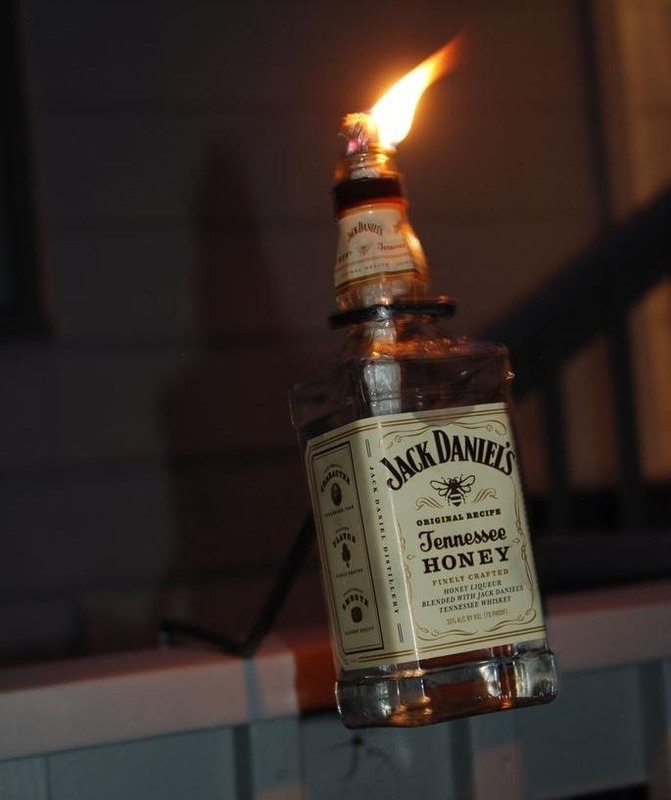 You can make the torch out of basically anything: from beer bottles to skulls, so if whiskey isn't your thing, feel free to get creative. You can ward off mosquitoes and tell everyone that you used alcohol to keep it lit. People are so gullible.